During the primary election on Tuesday, March 15, voters in the Burbank district approved a tax referendum for Reavis High School District 220 that was needed to save the jobs of nearly 30 Teamsters Local 700 members that work at the school as maintenance mechanics and bus drivers. The referendum passed with 55 percent of voters supporting the increase and 45 percent opposed. Due to the current budget crisis in Illinois, school administration approached employees about raising more money to prevent major personnel cuts throughout the school. The referendum was created and proposed a 29-cent increase in the district’s education fund rate, which will generate $2.3 million in additional revenue annually. 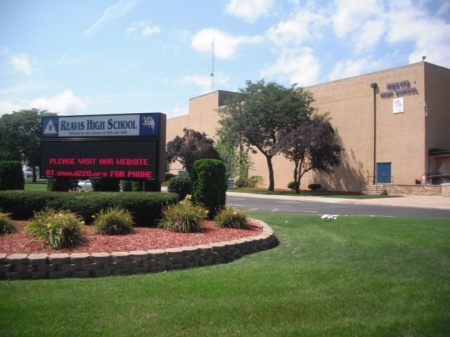 Employees at Reavis High School are represented by three different unions: Teamsters Local 700; The Reavis High School Federation of Teachers, Local 1951; and the American Federation of Teachers, AFL-CIO. Mike Bromley is the Teamsters union steward at Reavis and worked with Local 700 Business Agent Harold Irving to coordinate phone bank volunteers that made calls encouraging residents in the area to vote “yes” for the referendum. Local 700 also provided 4,000 palm cards to the school for workers and volunteers to hand out by the polls. The additional money will be used to fill the current financial gap to preserve the current programs and services at Reavis and will also position the district to move to a “1:1 Student Electronic Device Initiative,” which will allow every Reavis student to have a personal laptop or tablet at school. The district will eventually save thousands of dollars on textbooks, go paperless with assignments and increase school-to-home engagement and communication. Click here to learn more about Reavis High School District 220.